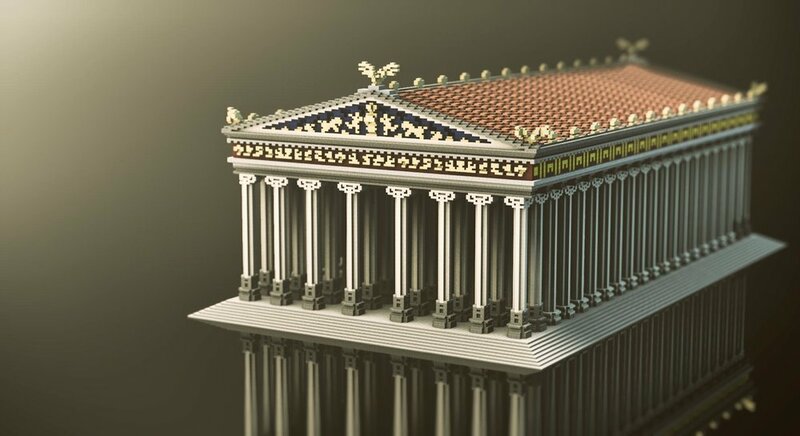 To create an educational resource for Microsoft's Minecraft Education Edition, which engaged and educated young children with ancient history. Accurate recreations of the 7 wonders of the ancient world, based on surviving literary sources and archaeological evidence. Players can stroll through the Hanging Gardens of Babylon, or walk along the docks in the shadow of the mighty Colossus of Rhodes.